Soap.com: Pay $10 for $20 to spend on their squeaky-clean site! Amazon.com Daily Deals has 50% off today for your Soap.com purchase. 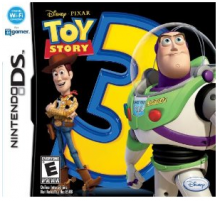 Head over to Amazon Daily Deals and grab this deal before it’s gone. Limited quantities available. Use San Francisco as your location if you don’t see it in your area. 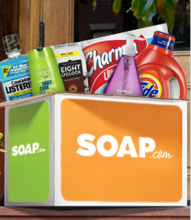 If you haven’t signed up for Soap.com yet, you can do it now here. You can save 20% off your first purchase with code: FRUGALDAY at check out. Soap.com is offering free shipping on orders of $25 or more too! 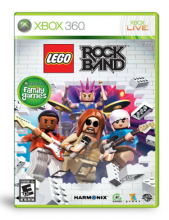 Daily deals Jan 3, 2012 in Amazon, household, SoapDotCom · Expired! HUGE toy sale on Amazon today! Amazon.com has released even more “End of the Year” pricing. They are having a huge toy sale today. Some toys are marked down 70% off. Plus, you still get FREE shipping with Amazon Prime. Head over to Amazon.com here and check out their toy sale. I’m sure quantities are very limited at this point. 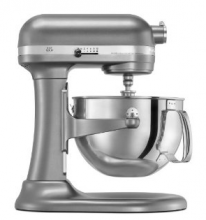 Amazon.com still has one of the lowest prices on the KitchenAid Professional 600 Series 6-Quart Stand Mixer. You can get it today for $279.99, that’s 44% off the regular price. They have them in stock in both Chrome and Gloss Cinnamon. Head over to Amazon.com to see this mixer and other great deals. 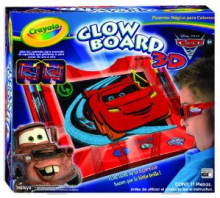 There are so many great Crayola products on sale right now over at Amazon.com. Several of these deals are eligible for the Crayola Mail In Rebate making the prices even lower! As you know, Amazon changes the prices every day. If you see a price that is within your budget, I’d grab it before the prices start to go up! Here are a few of the products eligible for the rebate offer. If you are still looking for a dollhouse, here’s a great deal for you. 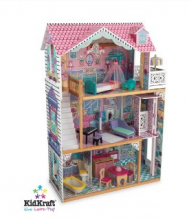 Amazon.com has the Annabelle Dollhouse by KidKraft for only $99 SHIPPED! This dollhouse is regularly priced at $228. The great thing about this dollhouse, it comes fully furnished. Don’t we all wish our homes came that way! Head over to Amazon.com and check out this deal. The price has been going up and down the last few days but $99 is the lowest I’ve seen so if you want this one don’t wait! I love Megabloks. They come in great bold colors or several shades of pink and yellow if that’s what you’re looking for. 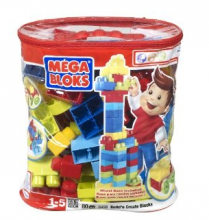 The 80-piece MEGA Maxi Bloks Classic Bag includes 80 big building blocks! It is the perfect toy for your little one who is just learning how to get creative and Amazon has them on sale today. Amazon has the 80 piece bag for only $12.49, that’s 50% off! Plus you can still get FREE shipping for Christmas with Amazon Prime!